Effective June 1, 2015 we've MOVED to 1050 St. John Street, Regina, SK, S4R 1R7. We specialise in maintenance and repairs of import European and Asian vehicles. We know your Volkswagen, Audi, and BMW better than the dealers. We also love working on Nissans, Datsuns, Hondas, and many other makes and models. From oil changes to engine rebuilds, brakes to shocks and struts, we do it all. We sell lubricants, fluids, and new parts. We also sell quality used parts. Check out our parts page to see what we've got on special now. CWS Tuning is a proud dealer for Malone Tuning. We do custom ECU tuning. Read customer testimonials and find out more at Malone's website. '79 Civic with '91 D16 Si, Dual webers, flares, slammed etc. '75 Austin Mini on Suzuki Samurai chassis, Chevette Motor with Bosch Cis, 31's! 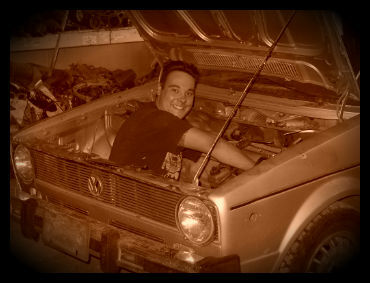 '91 Jetta with G60 Corrado engine, A/C, 17" Momo's, etc. We can bring your old car back to life. We can either rebuild or replace whatever ails your engine. We always let you know what the best and most economical choice is before we do the work. We are a licensed salvager. We purchase import vehicles with salvageable parts. If your import car is beyond reasonable repair or SGI wants to write it off, consider letting us having a look at it. If there is enough value in the vehicle parts, we may make you an offer to buy it from you.